Bitcoin has climbed this week as market bulls try to chase away the bears that have been in control for over a year, with the bitcoin price soaring briefly above the psychological $4,000 mark yesterday. The bitcoin price has struggled to break out of its long-running bear market so far this year, with investors and traders desperately trying to call a bottom to the tumbling market that’s seen the value of bitcoin and other cryptocurrencies fall by more than $400 billion in a little over a year. “We’re two years away from everyone using bitcoin,” Draper, a founding partner of venture capital firm Draper Associates, told Fox Business. Draper has previously made wild predictions about the bitcoin price, betting it will soar as high as $250,000 per bitcoin as soon as 2022. The bitcoin price rose rapidly throughout 2017, climbing from under $1,000 at the beginning of the year to almost $20,000 less than 12 months later. 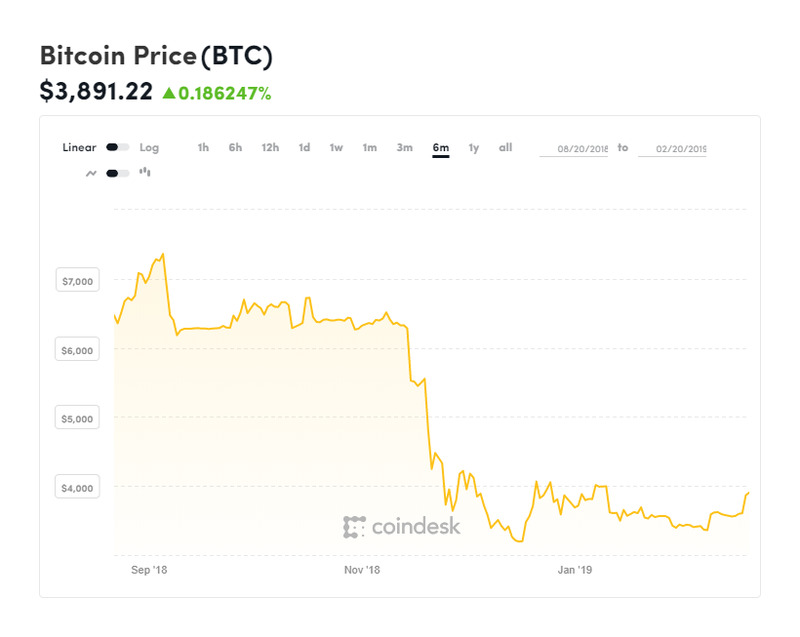 The bitcoin price has fallen steadily since then, however, losing more than 80% of its value and dragging down the wider cryptocurrency market in a rout labeled “crypto winter” for its debilitating effect on the burgeoning sector. Draper pointed to bitcoin’s nascent lightning network, designed to speed up and lower costs for smaller bitcoin transactions, as a reason to expect bitcoin adoption to ramp up in coming years. Draper expects that people will have almost no use for cash in just five years, predicting that only criminals will want to use it as bitcoin and cryptocurrency transactions can be tracked, adding he has more faith in bitcoin and blockchain security than that of the traditional banks. The latest bitcoin rally has excited the stagnant bitcoin market, which has been trading sideways for weeks. A rise in bitcoin rival ethereum sparked the minor bull run on Sunday as traders and investors look towards the delayed Constantinople upgrade to the ethereum network. The upgrade, which is expected to speed up processing times, improve the way the network monetizes data storage, and reduce mining rewards from three to two, is due next week (February 27) and is part of ethereum’s move to a proof-of-stake consensus algorithm later this year, from the more energy intensive proof-of-work it currently uses. Others have pointed to U.S. bank J.P. Morgan’s surprise announcement last week that it’s developing its own private cryptocurrency to speed up and reduce the costs of international transfers as adding support for bitcoin and cryptocurrency prices. Meanwhile, the latest Samsung flagship phone is expected to ship with support for cryptocurrencies through a built-in crypto wallet which could give bitcoin adoption a boost.